From the designated meeting point, you will board a train at the Euston station, heading to the Warner Bros. Studios. 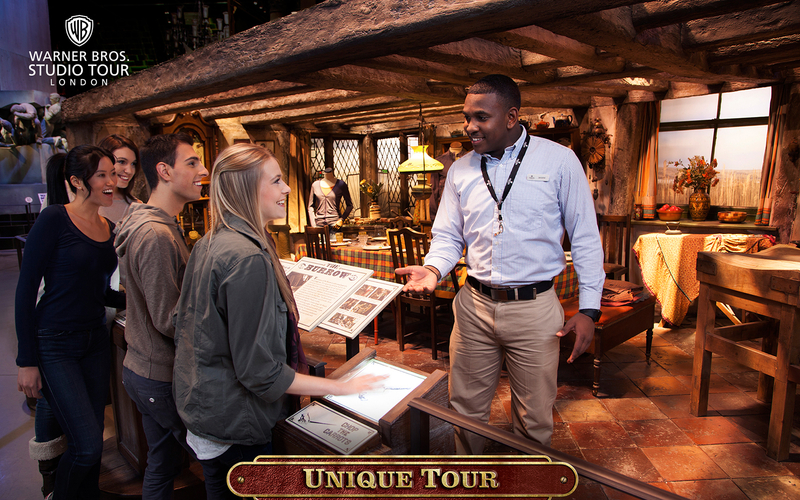 Once you arrive, your dedicated Studio Tour guide will reveal the wonders you will encounter throughout your tour of the original sets, props, and costumes from all eight of the widely known and loved Harry Potter films. You will get a chance to walk into Dumbledore’s office and walk along the famous cobbled streets of Diagon Alley, featuring the shop fronts of Ollivanders, Flourish and Blotts, Weasleys’ Wizard Wheezes, Gringotts Bank and Eeylops Owl Emporium. You will also get to visit the original Hogwarts Express and a recreation of Platform 9 ¾. Climb aboard the train’s carriage and pose for a photo with a luggage trolley as it disappears through the platform wall. Allow yourself to be captivated by other iconic scenes from the Harry Potter film series, including the Gryffindor common room, the boys’ dormitory, Hagrid’s Hut, the Potions classroom and Professor Umbridge's office at the Ministry of Magic. Additionally, you will be given an audio headset to ensure you do not miss any of the fascinating behind-the-scenes facts. 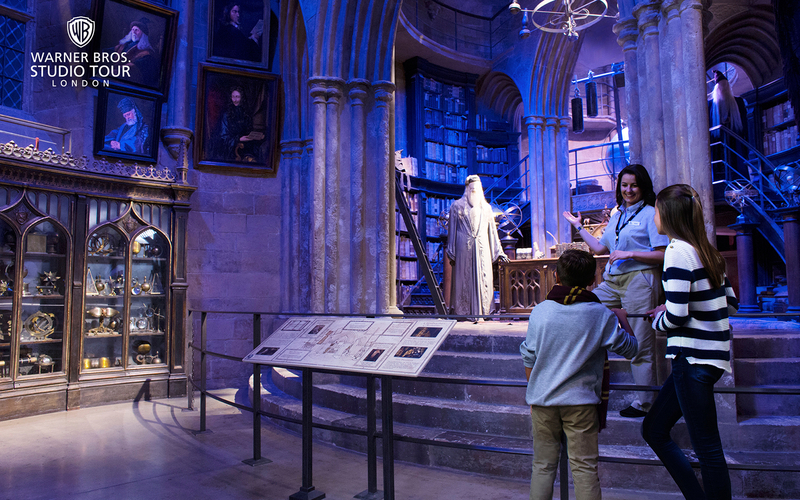 Once your guided tour comes to an end, you can choose to re-enter the Studio Tour and ride a broomstick over London in the green screen experience, or even spend some time discovering the full range of Harry Potter merchandise in the Studio Shop! 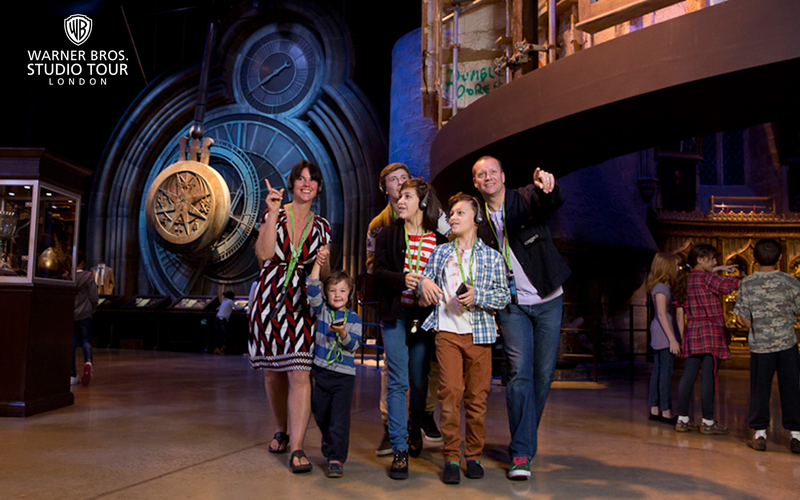 Once your guided tour comes to an end, you have the option to re-enter and explore the Warner Bros. Studio Tour London at your leisure, find that special Harry Potter souvenir at the Studio Shop or enjoy a coffee in the Studio Tour Cafe. When you are ready to head back to central London, your City Wonders representative will have provided train tickets and information needed for an easy journey. This unique fully guided tour at Warner Bros. Studio Tour London - The Making of Harry Potter is the only tour of its kind. It will truly create the memory of a lifetime! 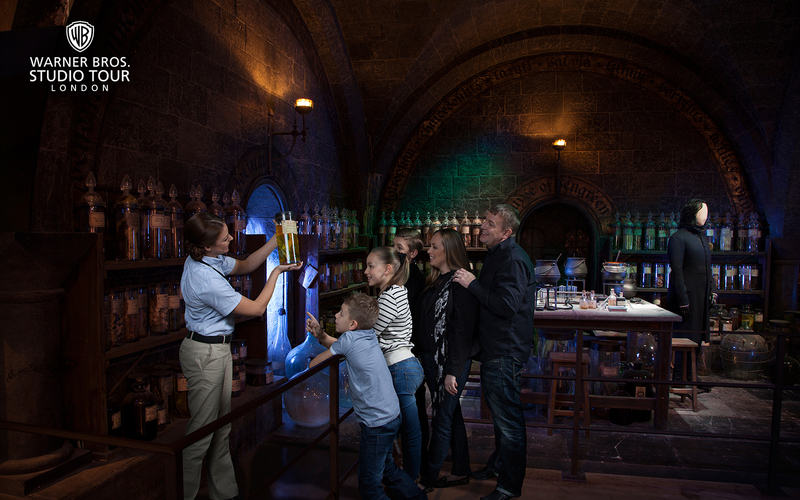 Delve into the intricacies of the making of Harry Potter by visiting the iconic sets of all eight Harry Potter films including the Great Hall, Platform 9 ¾™, Hagrid’s™ Hut, and many more! 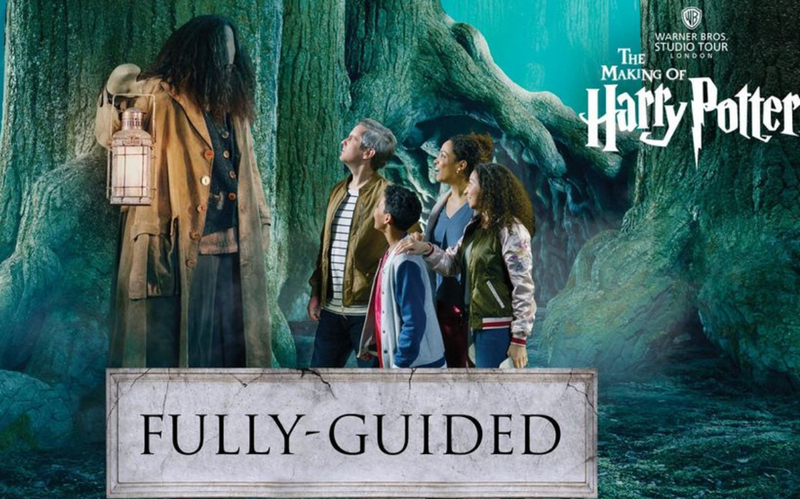 Get up close and personal with the Wizarding world and learn exclusive secrets and behind-the-scenes facts with an expert and electronic headsets to clearly hear your guide. Stay as long as you like after the guided tour. Receive priority re-entry into the studio to enjoy extra time on your own, have a late lunch, or pick up some special Harry Potter souvenirs. Return to central London easily and at your convenience with train tickets and instructions provided by your guide. This tour runs daily at 09:15 AM & 11:45 AM. The duration of the tour is 5 hours, inclusive of travel time. Participants below the age of 15 enter at discounted prices. Children below the age of 5 enter free. You may cancel up to 72 hours in advance for a full refund. You will receive an email confirmation with your Special Guided Tour of Warner Bros. Studio - The Making of Harry Potter voucher shortly. Please download and display your voucher on your mobile phone at the meeting point with valid photo ID. Please arrive at the meeting point 15 minutes before the tour departs. Under the ARRIVALS electronic notice board on the main concourse inside Euston station. The ARRIVALS electronic notice board is located between platforms 8 and 9. Take the tube to Euston station and exit following signs for British Rail. As you come up into the station you will see the ARRIVALS electronic notice board in front of you, on the main concourse under the departures information board. Ask to be dropped off at Euston Train Station. Enter the main British Rail train station and you will see the ARRIVALS electronic notice board on the concourse under the departure information board. These tickets are valid only for the date and time of booking. Guided tour of Warner Bros. Studios with an expert Harry Potter tour guide. Small groups of 15 people or fewer. Admission with timed entry to Warner Bros Studios. Headsets when appropriate, so you can always hear your guide. Transportation to and from the meeting point. Please note that if you book the 12:45 departure time from April to December, on some dates you might not be able to re-enter the studios after the tour.